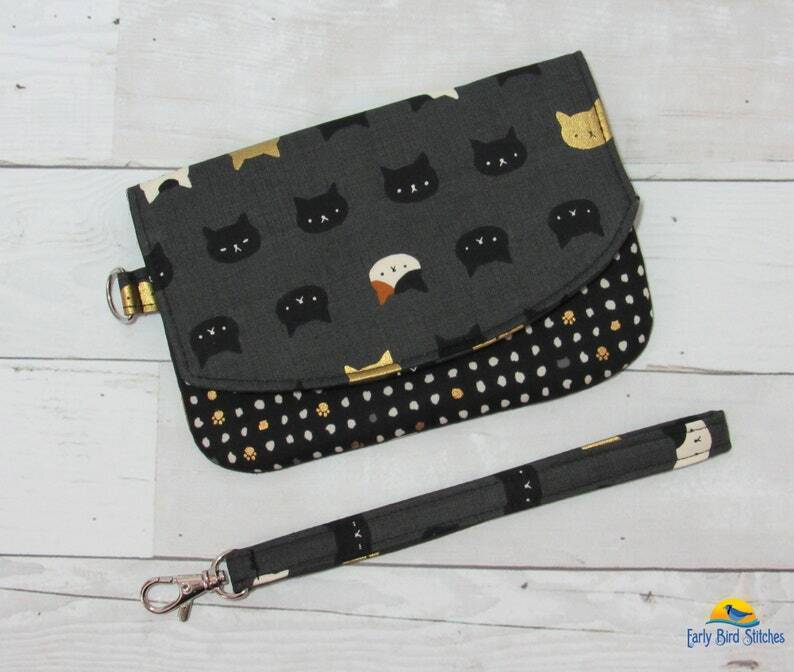 Handmade, one of a kind wristlet made from adorable fabric featuring cat faces on a gray background with coordinating black polka dot/paw print fabric. 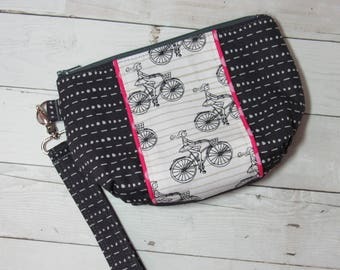 Purse includes a slip pocket that is the perfect size for a phone measuring about 5.5" x 3" (maybe a bit larger, message me to find out!) as well as a zippered pocket for cash and credit cards. Flap closes securely with two strong magnetic clasps, so everything stays secure. Detachable wrist strap makes it easy to grab this little purse and head out on the town! 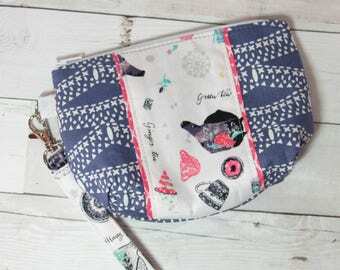 Wristlet measures approximately 6.25" w x 4.25" h x 8" strap (16 x 11 x 20cm). Made using the Zip Pocket Pouch Wristlet pattern by Michelle Patterns (michellepatterns.com). 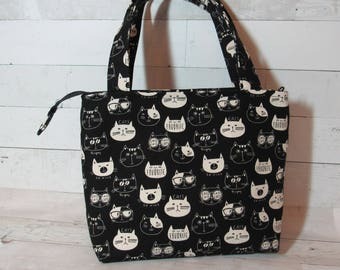 Large Cool Cats on Black Double Zip Pouch - Perfect as a Pencil Case, Cosmetics / Gadget Bag, Cord Case, Art / Craft Supplies, Etc.